to encourage young people to have better lives. soweto youth is a community organization registered by the govern ment of kenya.it Soweto is a slum located at about ten kilometers away from the city of Nairobi. It is due to these problems that we took an initiative to start this Community Based Organization (C.B.O)by the name SOWETO YOUTH INITIATIVE (S.Y.I) to be able to tackle them or reduce their magnitude. 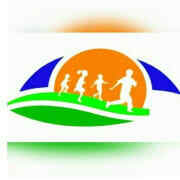 Would you recommend soweto youth initiative?